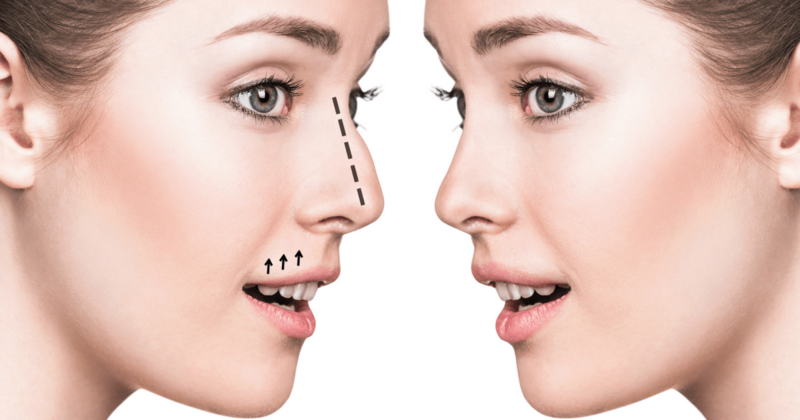 The recovery of a nose job, also known as a rhinoplasty, can be challenging. Like any other surgical procedure, there is some downtime following the procedure, which requires special care and consideration. Every patient heals differently. Factors such as age, sun exposure, and even complexity of surgery can affect recovery. During the first week of recovery, it is important that patients accept minor changes such as swelling and congestion in the nose area. Using a humidifier to help soothe these symptoms can also be helpful. More importantly, staying out of the sun is critical to recovery. Doctors will recommend that patients stay completely away from sun exposure for at least the first week. This will help heal the bruising, inflammation, and swelling. Potential time in the sun can slow the healing process and increase swelling. Any physical contact with the nose should be avoided, as the area is sensitive and vulnerable. Although this is mandatory, it is important that the patient asks as many questions as they like to ensure they have peace of mind and that their changes are normal. By the end of the first week, the surgeon will remove the hard-shelled cast from the patient’s nose, remove sutures and do a standard examination. The doctor will ensure that everything is going as planned and that there are no complications post-surgery. In the first few weeks, there is often a great deal of swelling. Your surgeon may teach you a gentle massage. Sleep and rest are important in the post-operative period. When resting, the patient is essentially restoring all the energy to overactive resources of the body that have been used for the healing process. Surgery is exhausting and the surge of adrenaline that got you through the first week fades. It is not uncommon to feel exhausted and blue in the second week. With appropriate rest this will pass. It is important that every patient pays attention to their diet Good nutrition is important for good healing. Eat healthfully and with common sense. Sometimes painkillers can lead to nausea or constipation. Start with easy soft things and progress as you see how you feel. Stay well hydrated too. Fluids with electrolytes such as Gatorade are helpful in restoring your body’s fluid balance. Post-surgery rhinoplasty for most is not overly painful. Patients on average will take a narcotic for about 48. The most common discomfort is a sense of swelling or pressure. When it comes to recovery, it is critical to monitor and to take the right dose of medication when in pain. If the patient is experiencing excessive pain, it is important to monitor the medication schedule so that they are not overdosing. Writing down or taking note of such timing and dosage is helpful and safer. It is important to note that full rhinoplasty results can take up to a year to be visible. Bony changes are seen more quickly, but swelling of the soft tissue of the tip of the nose can take much longer. The scar tissue inside the nose can sometimes take a year or more to soften. During the recovery period, patients should accept this reality and be patient for final results. Although recovery time and waiting for full results can be challenging, the final transformation can be satisfying. To learn more about rhinoplasty and whether you’re the right candidate for surgery, schedule a consultation with Dr. Tattelbaum today.